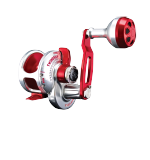 The Tern, Accurate’s first star drag offering, is perfect for anglers who want the lightest and smoothest star drag experience possible.  The use of CVX technology allows for an incredibly lightweight, yet strong frame to take down the toughest game fish, while the TwinStarDrag allows for anglers to have confidence putting the pressure to the fish. 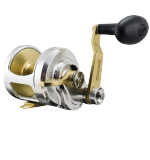 By putting stainless steel and carbon fiber washers on each side of the main gear, rather than a stack of washers on one side, anglers will experience an unmatched smooth payout of drag at every click of the ergonomic star that fits perfectly in your hand. 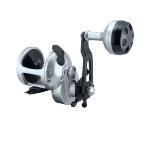 Whether it is castability, strength, or a smooth drag that you are looking for, the Tern is the ultimate star drag experience. 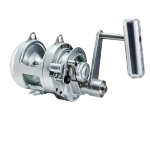  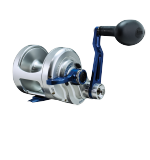 NOTE: All Models Are Available In Fully Integrated Left-Hand Reels.